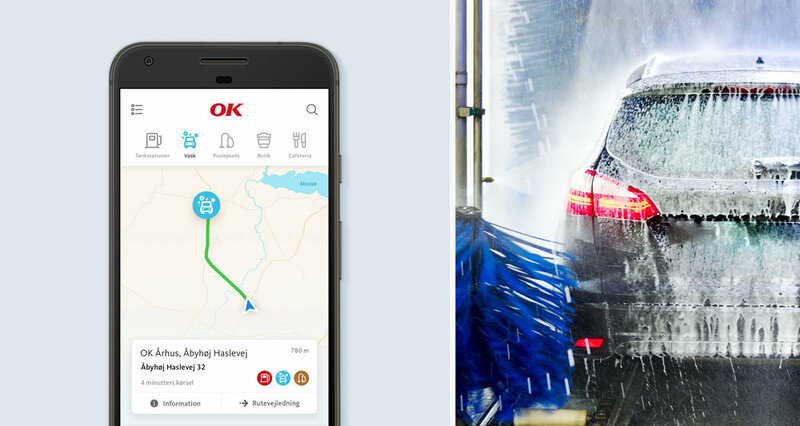 The OK app makes it so easy to refuel or wash your car that you don’t even need your wallet. OK is a Danish cooperative owned by their customers and dealers. Ever since its foundation in 1913, OK has been the only oil and energy company in which consumers have actively been able to influence the development of the company. With more than 700 filling stations located all across Denmark, OK has grown to become the largest player in the petrol market. When they came to us, they had a goal to do something that nobody in Denmark had done, namely to let their customers leave their wallets tugged away and pay for their petrol and their car wash directly from their mobile devices. We are terribly passionate about projects like these because we get to work on something that actually makes people’s lifes easier. It just gets better when we are also able to do great work with highly complicated technical solutions and top that off with a seamless experience for the end user. With the OK app you can easily find the nearest station, and even filter by e.g. car wash, shop, cafeteria etc. Once at the station you are only two taps away from filling up your car, or give it a shiny new wash, while relaxing inside your car. Your receipts are stored safely within the app for later reference and before you know it, you are good to go. It really is that easy.